Home> Tech >What is a PC Workstation? What is a PC Workstation? Deciding the right type of system for your compute-intensive environment is crucial towards saving costs and boosting the workflow productivity of an organisation. 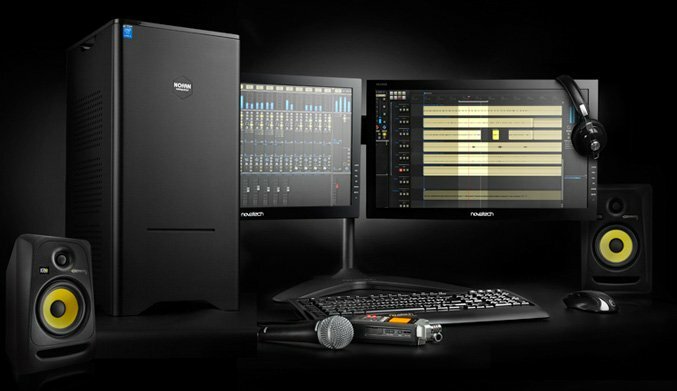 From Computer Aided Design to media editing, certain applications require advanced PCs that can support graphically-demanding tasks and provide intelligent performance. Sometimes a typical desktop PC just doesn’t meet these needs, unless you are simply running standard office applications such as email, presentation software, or word processing. A workstation meets the needs of today’s compute-intensive applications; the most advanced, expandable, and reliable computer available to the common market for high-performance roles such as designers, researchers, media workers, engineers, educators, or financial analysts. Endless professionals are taking dynamic leaps utilising these advanced workstations - from rendering complex graphics, creating digital content, analysing data, and more. How could a workstation system change the way that you work? We often have clients that are confused by the differences between a generalised “workstation” and “desktop” PC, yet the difference can be as contrasting as deciding between a jet airplane or car for long-distance transportation. Yes, you read that right. Across every industry, workstations are fuelling innovations through the investment of these entry-level and high-end systems. Workstations’ are ideal multi-tasking capabilities, featuring multiple monitor screens, additional random-access memory, drive capacity, rapid graphics adapters and a multitude of connected peripherals. These are systems that unlock the full potential of their components, working seamlessly together to boost your workflow efficiency and provide unparalleled expandability. - Performance: Built with the best components available on the market for graphically-intensive tasks, workstations are developed to produce several times the power of standard consumer PCs. 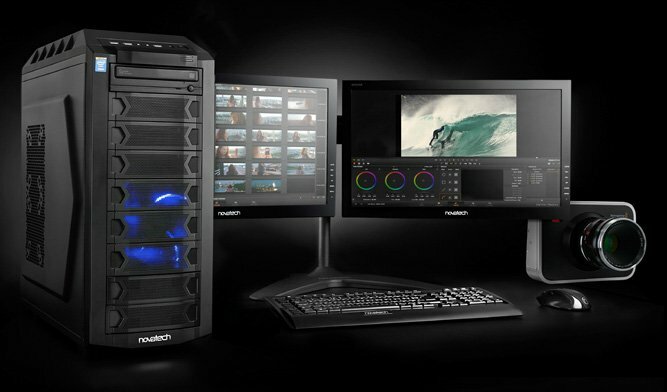 This makes workstations perfect for rendering times, low downtime, smoother animation creation, intelligent machine learning, and flawless simulation results. - Hardware: As mentioned above, workstations generally utilise high-end components such as powerful Quadro GPUs and flexible motherboards. - Features: Workstation PCs have several distinct features that have earned them the title of ‘Workstation’. More about the specifics of these can be found below. - Power: Workstation PC components are extremely durable to maintain reliable performance that is expected from them for continuous usage. Optimised GPU: Workstations are empowered by Quadro graphical processors that provide the best graphical capabilities for tasks such as rendering and take the pressure off your CPUs output to make your system faster and smoother. ECC RAM: ECC RAM (Error Correcting Code Memory) is the definitive form of memory fitted into your workstation, making your system dependably reliable, fixing memory errors before they can affect your system, and preventing crashes that save on overall downtime. Solid State Drive: Forget typical hard-disk drives. They are significantly faster to boost your workstation system. SSDs also have no moving parts which mean there is less of a chance of physical hardware failure. RAID: RAID (Redundant Array of Independent Disks) employ several internal hard drives to effectively process and store your data. Multiple independent disks are utilised in your workstation system to back-up one another, meaning that if one drive fails then the others will continue to function within your system. Multiple Processor Cores: A workstation has more processor cores to increase the processing abilities of your processing abilities. Workstations are often developed with software that takes advantages of the multiple processors to benefit the rest of your components and technical abilities. Which is better for you - PC Workstation or desktop PC? At the end of the day, the best system choice for you is dependant on the applications and technical roles that you require for the PC. 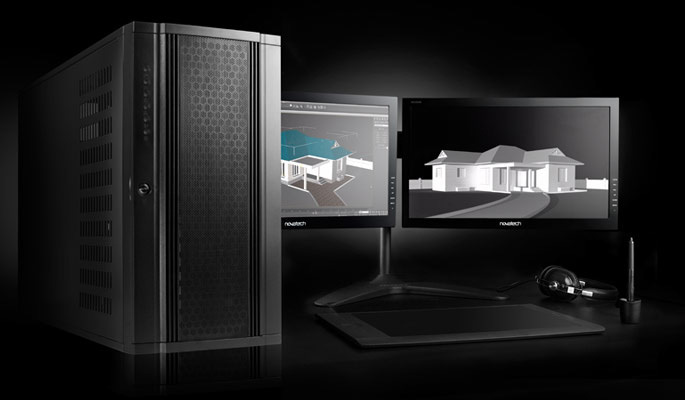 Workstations are perfect for varying projects such as machine learning, 3D rendering, media editing, professional CAD. The increased power and reliability of the high-end hardware in workstations such as NVIDIA Quadro’s are ideal for professional’s intensive applications to boost their workflow for better results and increased accuracy. Desktops PCs are better suited to home office and gaming applications. The current consumer components from brands such as NVIDIA, AMD, and Intel are incredibly great value, flexible, and enhanced for the more casual users or basic office work. Ready to enhance your workflow with a workstation or desktop PC? Novatech can help you to configure the dream system for you. Simply follow the link or call at 02392 322500 to talk with one of our experts.